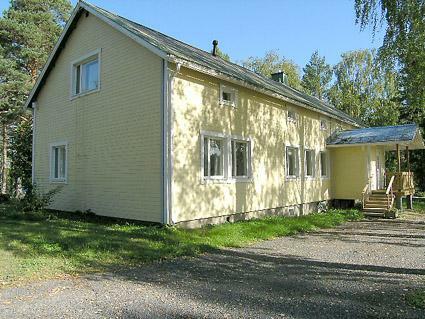 2-storey wooden house 1952 with 3 apartments. 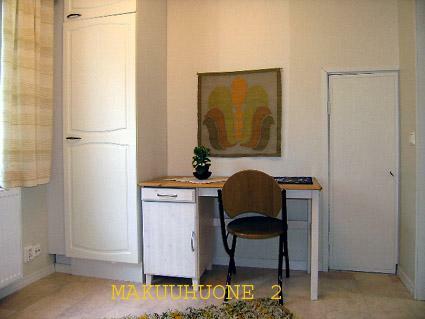 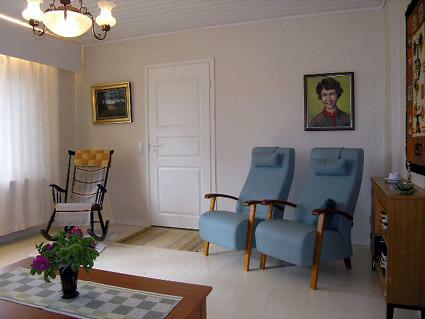 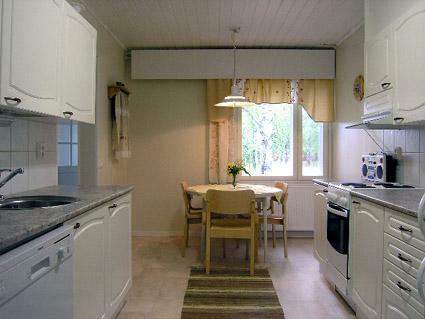 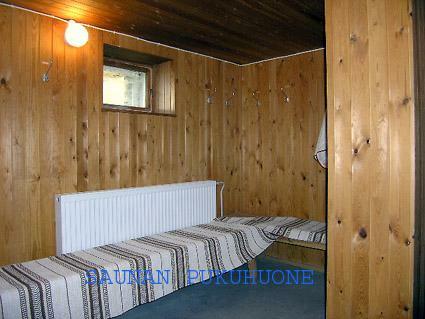 “Aamurusko/Dawn aurora” apartment renovated 2009; in building geothermal heat/central heating. 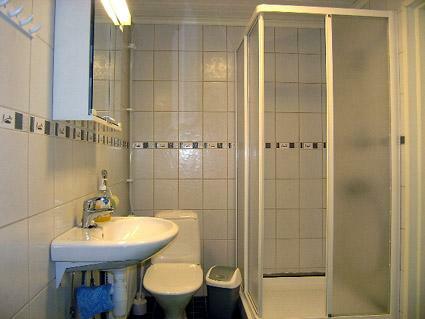 Neighbour in same building. 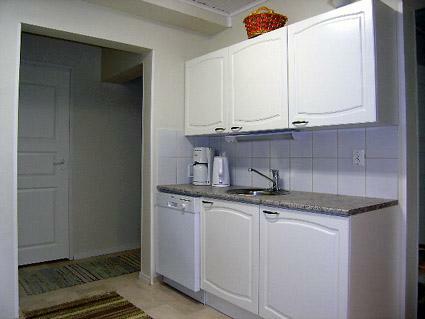 Own entrance to apartment, car block heater electricity outlet next to entrance. 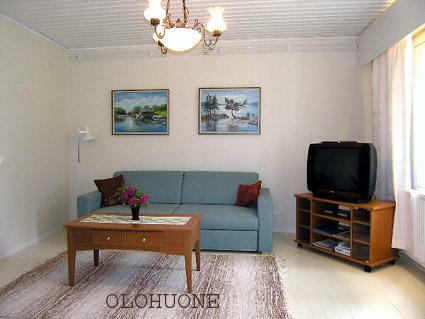 Kitchen, living room extra double bed, bedroom 2 beds, bedroom convertible sofa bed, washroom, hall, glazed porch, open porch. 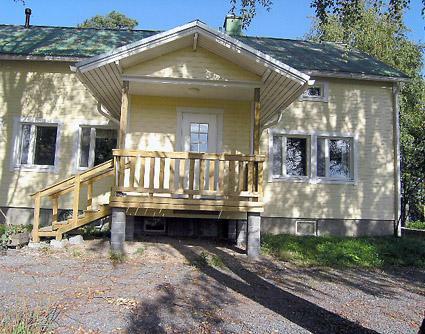 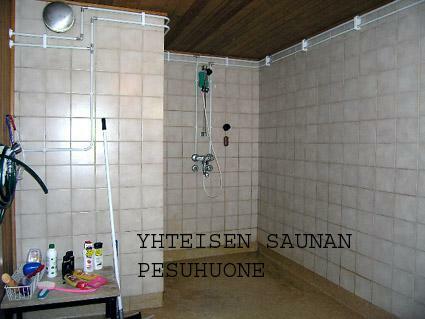 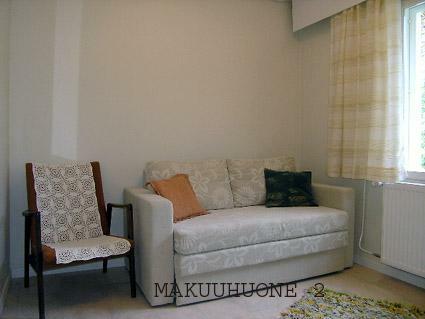 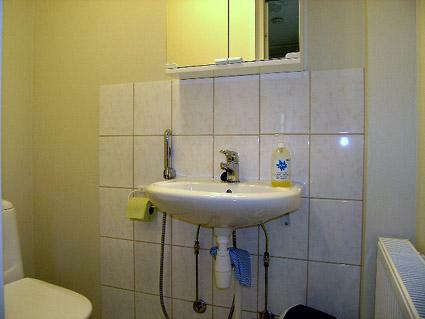 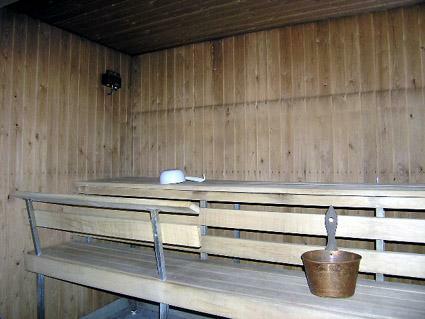 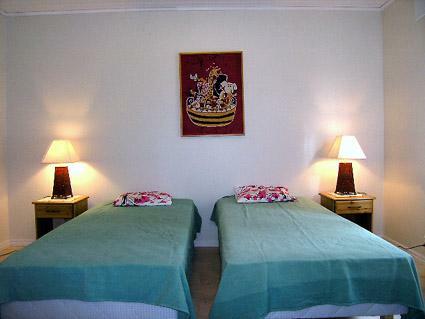 Shared sauna (electric stove), washroom, WC and dressing room on lower floor. 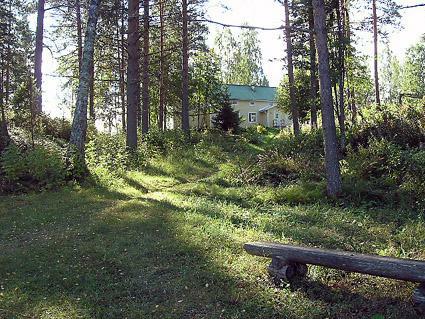 The house is located next to a holiday and course centre; the nearest of the centre’s buildings is 200 m away. 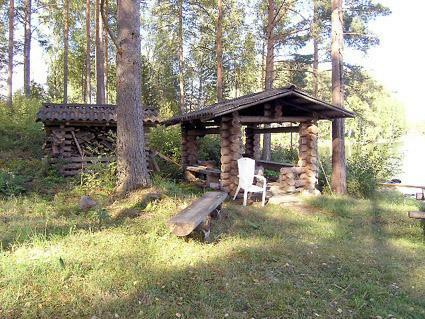 On the shore a cooking shelter and a large jetty. 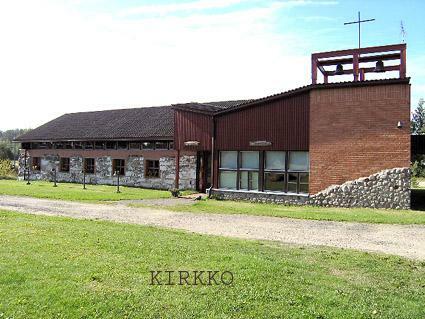 A speciality of the area is a church built from a previous stone cowhouse. 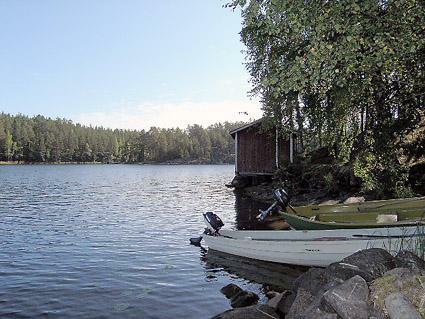 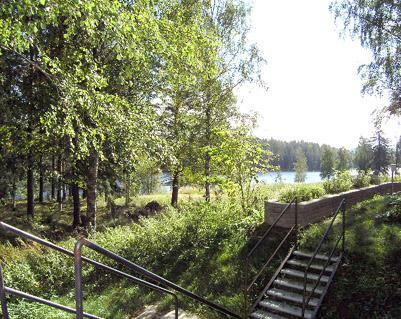 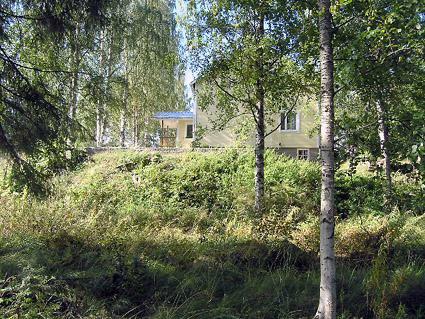 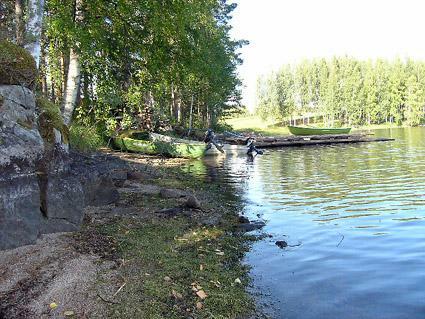 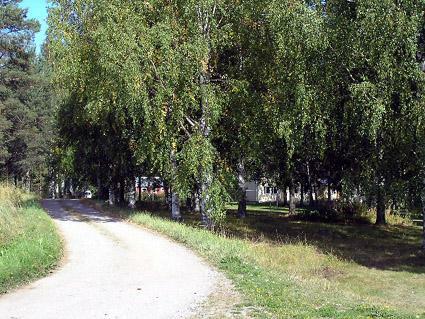 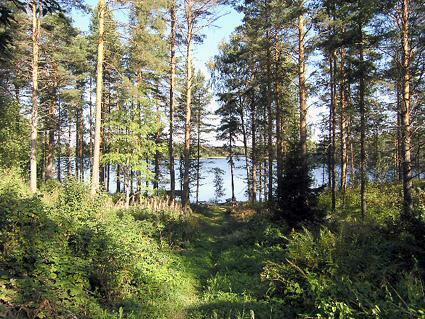 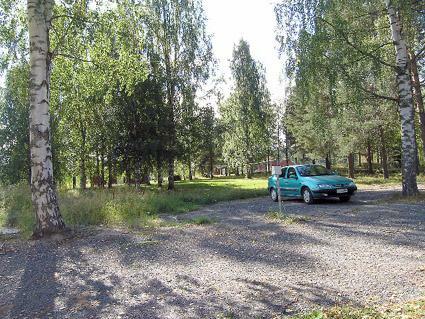 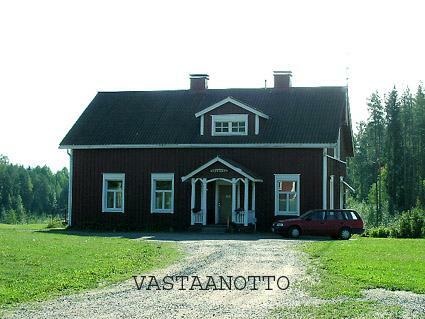 In the peaceful “Törmälä” environment splendid opportunities for outdoor recreation, fishing, berry picking and skiing. 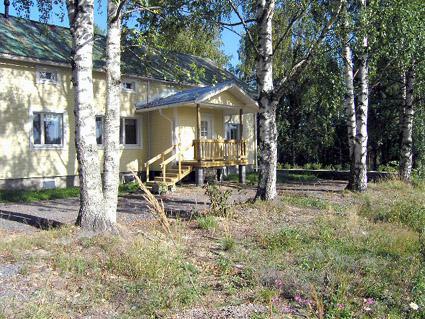 “Aamurusko/Dawn aurora” apartment has a wireless 1 Mt broadband connection (not 3G) for visitors’ laptops. 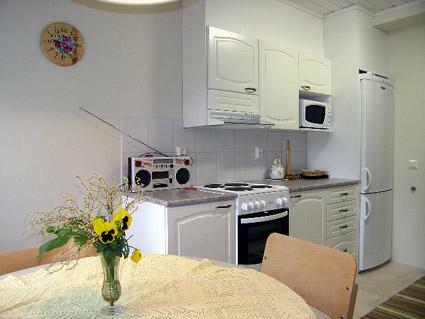 Meal services can be booked from the main building’s kitchen.